Special THANK YOU to all of our London Music Boosters Patrons! Select from the many fundraising opportunities listed below to support the music programs of London City Schools. Each month this year (2016), you can support London music students by dining out at your favorite local restaurants. Check back for updated opportunities. Hey Band Fans! Please contact the music boosters first. There are limited numbers remaining. Let everyone know who you support by purchasing short or long sleeve t-shirts with “I’m with the Red Raiders BAND” emblazoned on the front! Show off your Red Raiders pride and wear them at band competitions and sporting events – buy one for everyone in your family! They make great gifts for adults and youth. Available in men's sizes S, M, L, and XL. 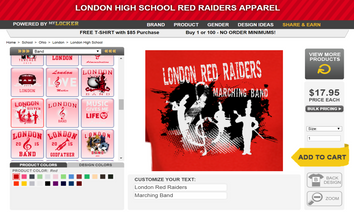 Customize any London Red Raiders apparel at our official MyLocker.net online store. A percentage of all sales benefit the London Music Boosters and their support of London City Schools' music programs! 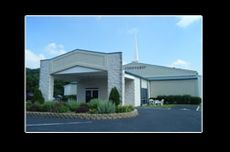 Band, choir and all other school activities available! Shop at Amazon just like you always do, but start at our AmazonSmile link so that the AmazonSmile Foundation will donate 0.5% of the purchase price to the London Music Boosters, a 501(c)(3) charitable organization. Be sure to Favorite / Bookmark our site for easy access next time you shop! 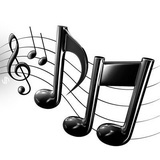 Our Patron Program affords those who are able the opportunity to enhance the quality of our music education by providing additional funding that is not covered by the London City School District. For more information or to DONATE online click HERE. If you have questions, contact us by email at [email protected]. To make in-kind, instrument, equipment or other non-monetary contributions or to mail in your donation download the Patron Program Form. Go GREEN and save GREEN too! Purchase high quality remanufactured Toner and Inkjet cartridges at our Planet Green online store and 15% of every sale will benefit London Music Boosters. Visit our store at: planetgreencartridges.com/londonmusic. 1. Sign in to your existing Kroger.com account or register a new account HERE. 2. Enroll your Kroger Plus Card HERE in the Community Rewards Program. Enroll anytime during the year and renew EVERY April. Select London Music Boosters (organization #90355) to receive a donation each time you shop. 3. Shop at Kroger. Raise money for London Music Boosters. Tell your friends! Adding the GoodToolbar is a great way to ensure that every purchase and web search you make will count as a donation to the London Music Boosters. Download it HERE. Shop through GoodShop.com where you can find the most up-to-date coupons and deals at over 2,400 popular online retailers and have a percent of every purchase go to the London Music Boosters! Register HERE. Use Yahoo! powered GoodSearch so that every time you search the web about a penny goes to the London Music Boosters! Plus, find exciting new offers and more ways to raise money for our cause! - Register HERE. When completing annual United Way contribution forms with employers, remember you can choose to direct your contributions to any 501(c)(3), such as the London Music Boosters. You will need to provide the following Tax ID# - 26-2441343. London Music Boosters is a 501(c)(3) non-profit organization. Your contributions may be tax deductible. Check with your tax advisor to be sure.